I can’t wait to get back to Pittsburgh's PAPA and play some pinball. I can’t wait hang out with all the pinhead and friends there. 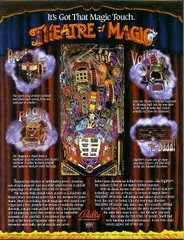 I heard that Jason, Donny, Brian are heading up, so that will be great to have a chance to talk and watch them play, especial Donny since he seems to get stuck on the other side of these FL pinball tournaments. I am looking forward to playing in the tournament also, the set-up at Pinburgh seems relaxed….. before getting into the trenches of the final rounds. I just hope I have the energy to maintain a good level of play through the rounds. Three days of solid pinball playing. Lol How do you practice for that? Watching and playing, thinking and strategizing, talking and writing, laughing and hopefully not crying about pinball. It is going to be awesome time. 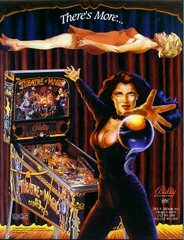 The fantastic fact about the PAPA place is that they have a great collection of pinball machines that are in really nice shape and well maintained that can be played away from the tournaments (as time allows before, after or in-between competition playing). They have such a diverse line-up of pins from EM, SS to the latest Sterns and so many that you can’t play them all. 5) Lastly, Pins that was in the tournament line-up that I felt I needed to learn and practice on. So I will possibly stick to that plan, it worked well in the past. And their blog site here. 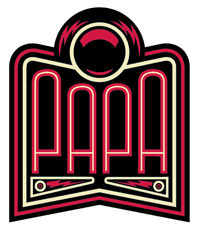 PAPA Blog Which is a very good blog site with all their pinball video tutorials. A several people had asked more questions about the parts that can be found on the Spider-man pinball machine, so I decided to record a few more videos describing some additional parts that make up a average pinball machine as the work progressed. These are typical parts or mechanics that make pinball what it is today. The first video is of the bulbs. 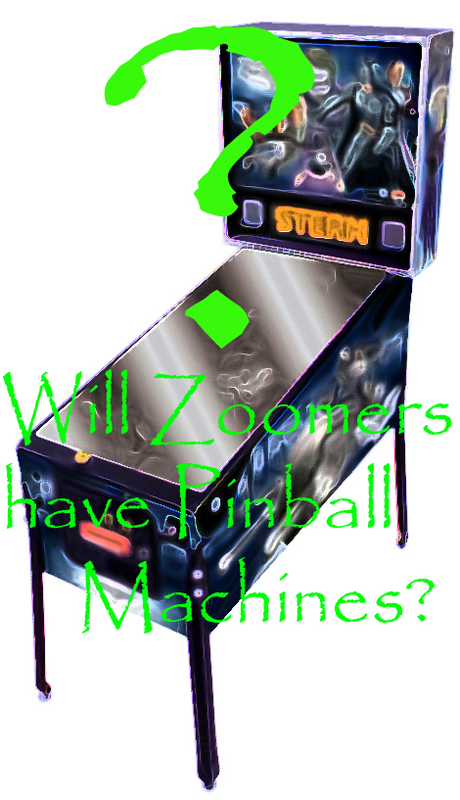 The second video is abput the pinballs themselves. The third is on the flippers. We can found also at Project Pinball on Facebook. The Spider-man pinball machine is starting to shape up. We cleaned and scrubed all the nuts and bolts, ramps, plastics and the playfield. We put on three coat wax and bluffed between each coat and what a glossy shine we have now. 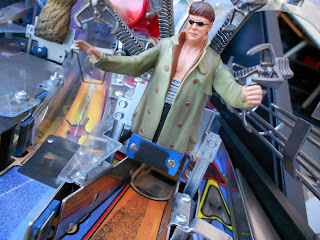 It is a good feeling inside knowing that we can give new life back to this pinball machine. 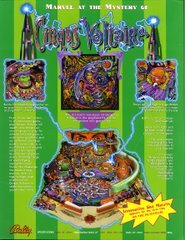 The next step is to start bolting the parts and assemblies back to the top of the playfield and that is the subject of my video here. 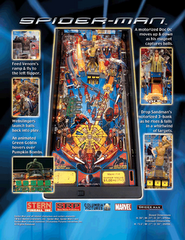 The subject: A Stern Spider-man pinball machine born on July 06 2007 with over 21,300 games played. On-site damage assessment: Filthy, broken and unplayable. Can not repair at location due to sterile environment. We have been working to complete the Spider-man for its triumphed return to the Chrissy Brown Oncology and Hematology Unit at the Children's Hospital. We have set the date for this coming Saturday the 10th of December. I have been burning the midnight oil all week making great progress but having less time to post the videos that I made along the way. So here they are. Thank you for watching. 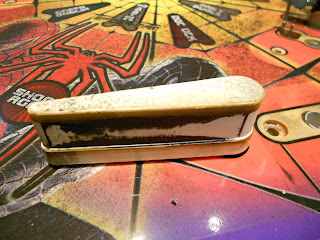 We can found also at Project Pinball on Facebook. 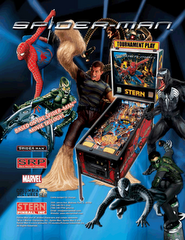 We have been very busy and it shows by the good progress that is being made on the Spider-man pinball machine. I have a couple more videos to share with you. I wanted to show you the shine and the re-graining of the metal guide rails. Thank you for watching. 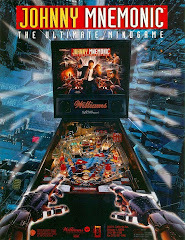 You can find us at Project Pinball on Facebook. 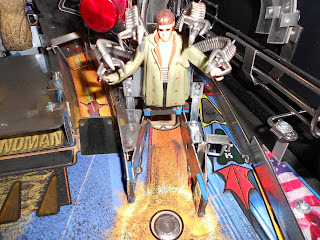 As we continue to de-populate the Spider-man playfield, I have been videoing the process to share here and on YouTube at Save Spider-man for the Children by PinballMole. The first video shows the playfield farther along the tear-down process. The next video shows close-up of the damaged targets and metal guide rails then I do a brief description of the next step. 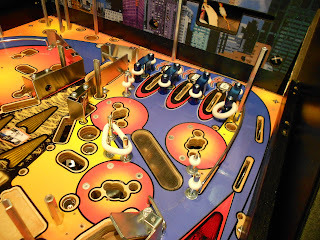 This video is a short video that gives you an idea of dirty the playfield is and how dirty we get from work on it. If have questions, just post here or on Facebook Project Pinball and I can possibly go into more detail. I am back from IAAPPA & Southern Pinball Festival. 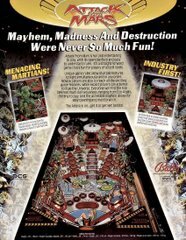 While I was at the IAAPPA Expo I had a chance to talk to a lot of good people that are very interested in donating parts and other items for our Project Pinball. Which is great and it will help me get this Spider-man back up and running for the kids. 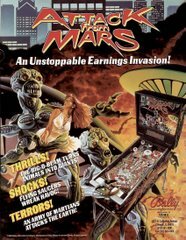 The Southern Pinball Festival was a wonderful success for getting the word out about our facebook, YouTube and blogging pages and our great charity. We had donation buckets located around the event hall that were being filled by the warm and kind pinball people from all over the globe. I filmed additional footage of the teardown process. 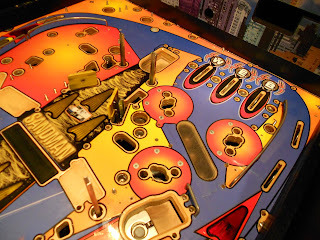 The first video is showing the beginning of the playfield being stripped down. The second video is describing the break down process. Jimmy Schneeberger, 11, of Naples died on Thursday April 13, 2000. Jimmy Schneeberger was a member of the Webelos Den 1, Pack 12 of Collier County and was recently awarded with the Arrow of Light Award ­ the highest award cub scouts can earn. He attended Laurel Oak Elementary School where he was on the honor roll. He most recently attended Corkscrew Elementary School where he was a member of the peer mediation group. Jimmy Schneeberger was among the first winners of the Collier County "Do the Right Thing" award. My wife found out there was a broken Spiderman pinball machine in the oncology department of the Children's Hospital of Southwest Florida. It was a memorial gift, donated to the hospital in the name of Jimmy Schneeberger . We felt it was just wrong to have a great gift and outlet for the kids sit idle because it needed our TLC. We are working on the Spider-man right now and we are going to fix it in honor of Jimmy and his Family and for all kids that are undergoing treatment in the hospital. Jimmy and all these brave kids are the real heroes! Or comment at the bottom of this Article. More information on Chrissy Brown Oncology and Hematology Unit just click. Southern Pinball Festival is ready to kick off this coming Friday! 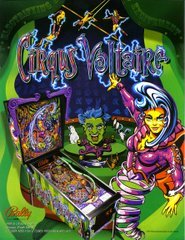 The first annual pinball show in the Central Florida area, November 18, 19, & 20, located in the beautiful Maitland Civic Center just north of downtown Orlando. "This festival is driven by the passionate enthusiasts and collectors throughout the state of Florida." The Southern Pinball Festival owners heard about our Florida charity drive to save Jimmy's Spider-man pinball machine for the Children's Hospital and couldn't stand idle without lending us a helping hand. 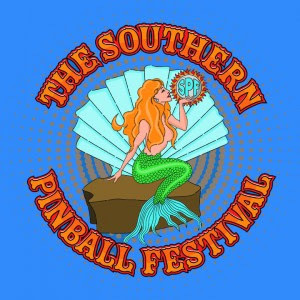 The Southern Pinball Festival is sharing our passion and it shows from their huge support. Thank you. They featured an article about our cause on their front home page of the SPF. They help with the arrangements for us to publicize the Project Pinball at their three day event. We are going to have donations buckets on-site so if you spot one, please help us with a warm gift to the kids of the Chrissy Brown Oncology and Hematology Unit. Also I will be there for all three days supporting the efforts of SPFs' wonderful event, come and say "Hello". I would love to talk to you.